Jiu-Chiuan (JC) Chen is an Associate Professor of Preventive Medicine. Dr. Chen is a physician-epidemiologist with formal training in Internal Medicine, Environmental and Occupational Medicine, Environmental Health Sciences, and Epidemiology (Clinical, Environmental, and Occupational). 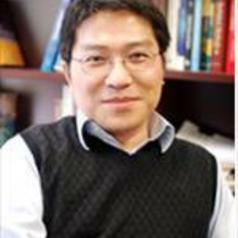 Chen brings extensive knowledge in medicine and toxicology together with sophisticated skills in quantitative methods to study environments and chronic disease epidemiology and elucidate the biological underpinnings of environmental influences on human health, in order to reduce the resulting environmental health disparities especially among the vulnerable populations. At USC, Chen developed the AirPollBrain Network (Co-PIs: Finch & Chen), with its mission to create a research and education program in environmental neurosciences of brain health during development and aging in urban environments. To study how ambient air pollution exposures affect brain aging including Alzheimer’s disease (AD), Dr. Chen’s research team and their collaborators take the team-sciences approach that integrates state-of-the-art knowledge and tools in neurobiology of AD, population & clinical neuroimaging, mouse brain imaging, neuroinformatics and high-dimensional data analyses, brain vascular biology, inhalation exposure assessment and neurotoxicology, clinical neurology and neurosurgery, cognitive neurosciences and neuropsychology, quantitative psychology, epidemiology of AD, spatial statistics, and air pollution epidemiology. These powerful approaches had been expanded to study how urban environmental adversities shape the neurodevelopmental and behavioral trajectories during vulnerable time periods. Chen’s team also pioneers the emerging field of environmental health disparities in AD and related dementias, investigating how environmental stressors and resilience factors interact to shape the socio-geographic disparities in dementia.